Try out these 10 amazing beauty hacks this winter and let your skin look fresh and supple! When it comes to changing your daily routine to fit the colder months, it’s all about protecting your natural moisture barrier. This is what will keep your skin feeling moist, hydrated, and overall normal. Protecting it is essential, but it can be irritated by a range of outside forces, from gusting winds to dry indoor heat. While taking care of your skin is a no-brainer, knowing exactly how to do that can be a little tricky. Here are ten beauty hacks that will help protect and restore your hair, skin, and nails this winter. 1. Soft and supple steps: Feet already tend to be dry. Cold weather can exacerbate dehydrated soles and cracked heels. To help get them soft, slather on the thickest moisturizer you can find before bed. Then put on thin cotton socks and wear them while you sleep. Additionally adding a few drops of peppermint oil can do wonders. 2. Nail care: Apply a gentle massaging lotion to the cuticle area of your fingernails daily to stop painful hangnails before they develop. 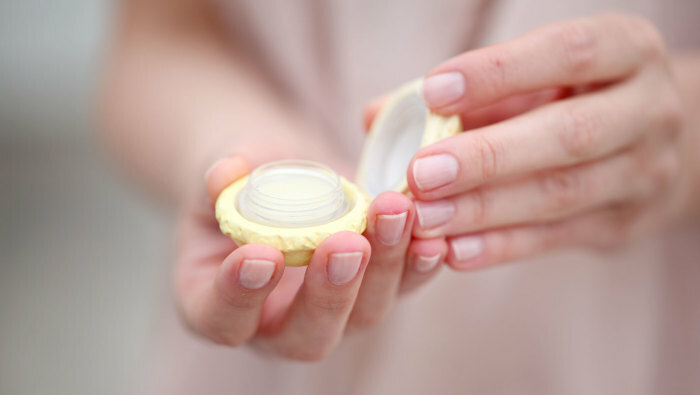 In a crisis situation, you can use lip balm to ease your cuticles too! Sshh! 3. One stop solution: Be it chapped lips, cracked heels, mascara smudges or eyeliner removal – your one stop solution for all requirements is none other than Baby Oil! Apply generously with a cotton swab and voila! 4. On those bad hair days: Earlier on, we mentioned how over-washing of your tresses in the winter can ruin your look and feel. However non-washing too can make hair tough to manage and flatter than expected. 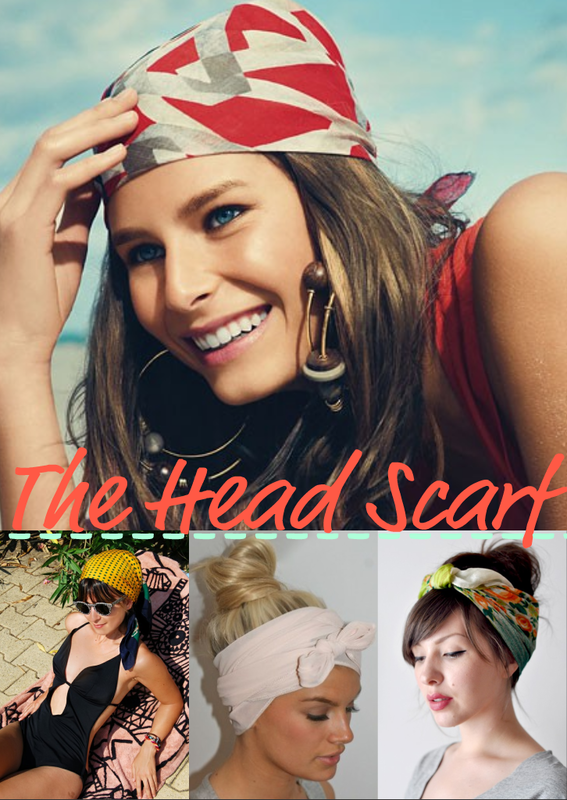 Here’s a simple solution – hair scarves, head gears and updos. Try from a variety of hairstyles that keep your hair looking perfect! 5. Lip care: For a quick way to repair dry lips, mix honey with a pinch of sugar in the palm of your hand and gently rub it onto your lips. Rinse the mixture off, then seal the skin with a protective, hydrating lip balm. 6. Switch cleansers: Contrary to popular belief, cleaners might not be the best option for your skin in the winter months. Try switching your chemical soap and cleaning solution with cleansing oils instead. This could be extra virgin olive oil or any other certified organic oils that are alcohol and paraben free. 7. Pre-bathing ritual: Apply a generous coat of body oil before your bath to ensure that the warm shower doesn’t rob you off your essential moisture. 8. Sugar shampoo: Just like the rest of your body, the skin on your scalp can get dry and flaky in the winter. You can gently slough away dandruff by adding a teaspoon of granulated sugar to the amount of shampoo you normally use to wash your hair. We promise you the granules will dissolve as you rinse! 9. 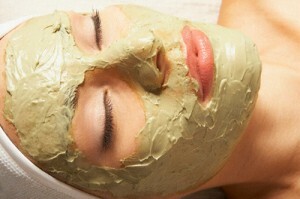 Clay mask: If you haven’t used a clay before, be sure to be amazed at its dramatic results. Clay masks are nothing but bentonite clay that bring out all your impurities from the pores to the surface of the skin while ensuring no dry or itchiness. 10. Goodbye toner: Its winter! You don’t need that extra chemical alcohol soaked toner. Try using apple cider vinegar and water side by side. So dab apple cider vinegar on a cotton strip and water on another. One swipe with the vinegar followed immediately by another wipe with water. Hello natural-raw-toned skin!